Dr Hermann Hauser, KBE, fellow of the Royal Society, of the Institutes of Physics at the Royal Academy of Engineering and honorary fellow of the Kings College, is an Austrian-born worldwide recognized and successful computer- and venture capital entrepreneur from Cambridge. He got well known due to his involvement as co-founder in ACORN Computer 1978, who developed the ARM processor technology, which can be found in billions of mobile phones today. ARM was recently sold to SoftBank for almost 30 bn Euro. 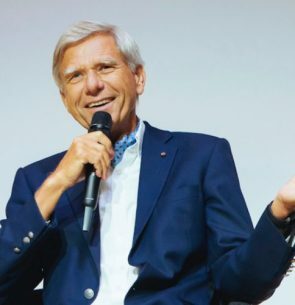 In 1997 Hermann Hauser co-founded the global technology investor Amadeus Capital Partners, the firm has backed more than 135 companies and raised over $1 billion for investment and helped to develop several unicorns. He founded the Hauser Forum in Cambridge which contains among other things an ideaSpace, Cambridge Enterprise and Cambridge Networks. All these institutions help start-ups to create a successful venture. In 2016 he co-founded in Austria the I.E.C.T. – Hermann Hauser Institute for Entrepreneurship Cambridge – Tirol to enhance the potential of start-ups in the alpine region and invest in deep tech start-ups with high scalability.